Izložbena pedala, distorzija T REX Mudhoney daje specifičan prljav zvuk kakav bi se zasigurno dobro našao u ruci (ili pod nogama) gitarista širokog spektra, što ritam, što lead gitarista. 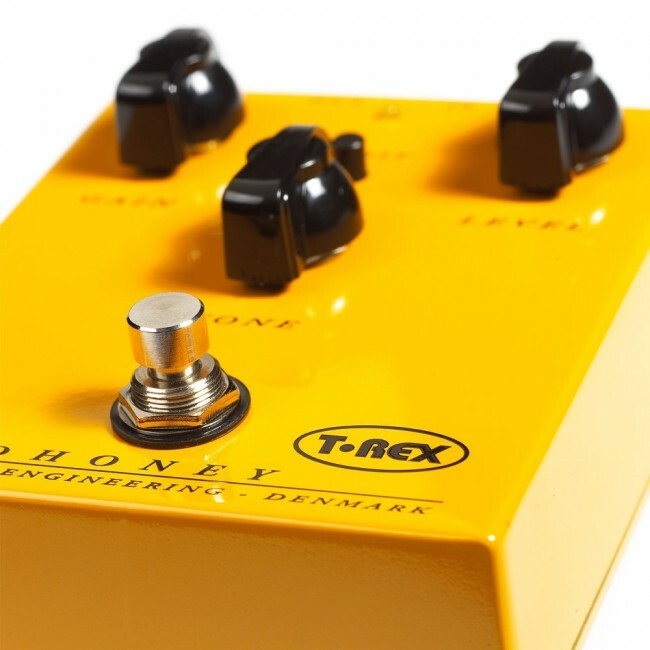 CRUNCHY, FUZZY DISTORTION T-Rex Mudhoney. We think the name pretty much says it all. Dirty and sweet. Delicious distortion. It’s one of first pedals we produced, and Mudhoney has all the tasty ingredients of a T-Rex classic: the perfect mix of controls, a rugged design, and astonishing tone. It’s been praised for its impressive tonal range and ability to deliver everything from a smooth dirty edge to a harrowing wall of distorted sound. 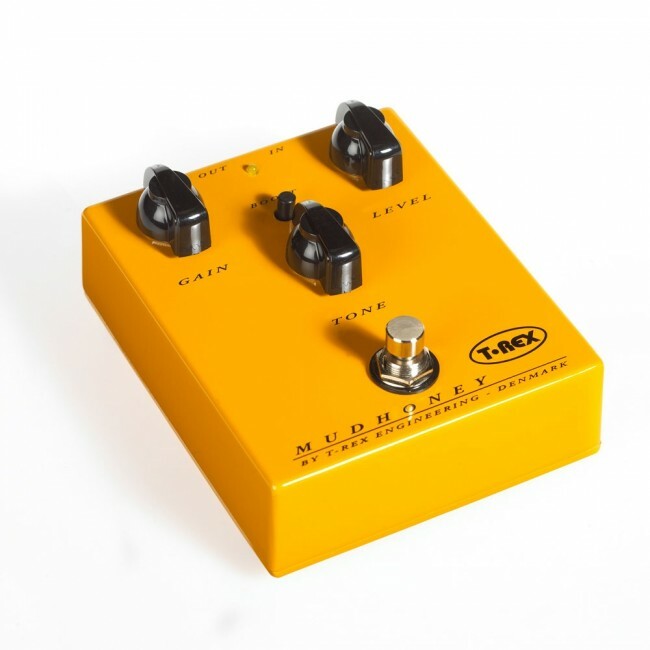 DOUBLE DIRT BOOST Mudhoney is almost like having two distortion pedals in one. It delivers a full range of sweet sounding overdrive with the boost switch off. Kick the boost on, and it will take you to a whole new level of searing distortion – without ever losing the great tone that T-Rex pedals are famous for. OF MUSICIANS, BY MUSICIANS, FOR MUSICIANS If you haven’t already discovered it, T-Rex is no ordinary company. We’re a group of sonic craftsmen who are passionate about music and have devoted our careers to creating the kind of tone we’ve always dreamed of having in our own pedals. Maybe that’s what explains the T-Rex difference – the difference between just another effect pedal and a pedal that sounds so great, it is a musical instrument. 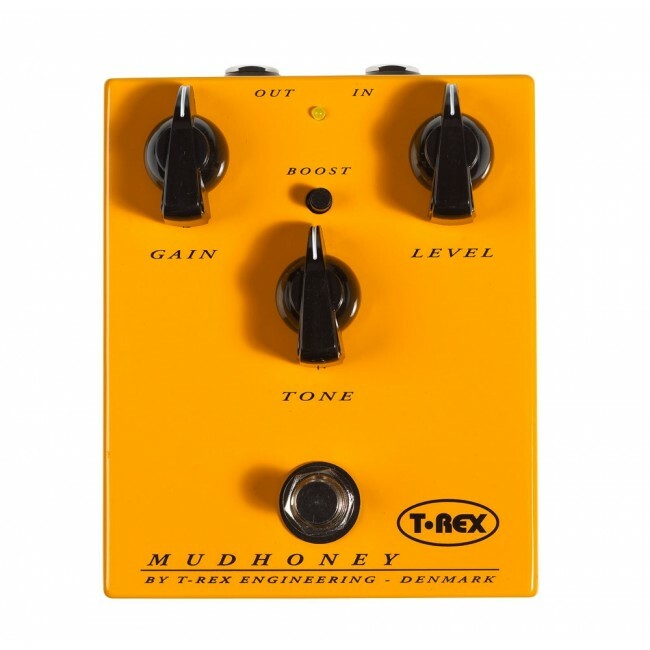 Mark Sullivan from daddys.com wrote: The Mudhoney is a Distortion/Fuzz pedal with a very wide tonal range. 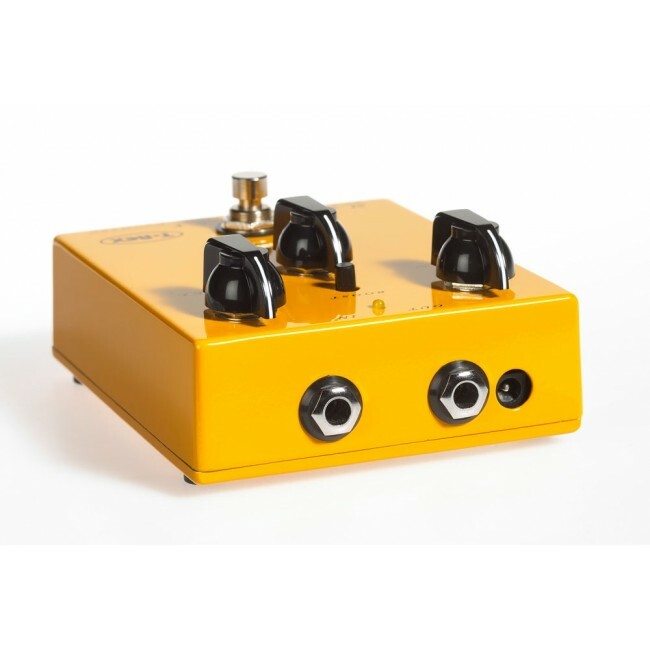 It features a typical 3-knob gain/volume/tone layout plus a boost switch. I played this for a few minutes with the boost off and it is quite impressive; very thick tone with warmth that could quickly find its way to being your main dirt for jazz, blues, etc. Then I pushed the boost and cranked up the gain! The speakers in my little Princeton cried for mercy. Hitting it with the bridge pickup of a Les Paul brought sustain of Spinal Tap proportions. Chords were a menacing wall of sound but yet unlike its name would imply, the Mudhoney didn’t get muddy and muffled. Note and harmonic separation was impressive giving a very dimensional sound at gain levels where most pedals sound flat.